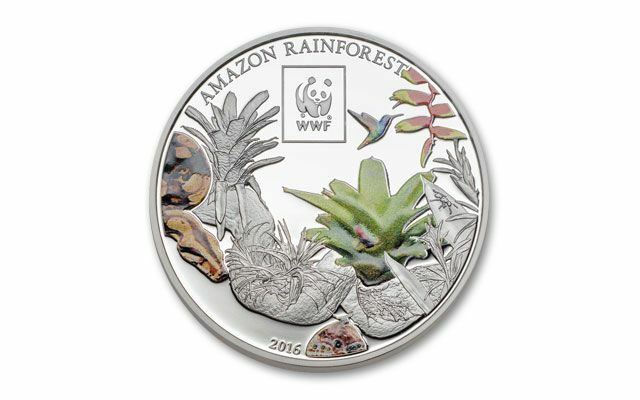 This Rainforest Proof-Like coin is an officially-licensed product of the World Wildlife Fund for Nature. 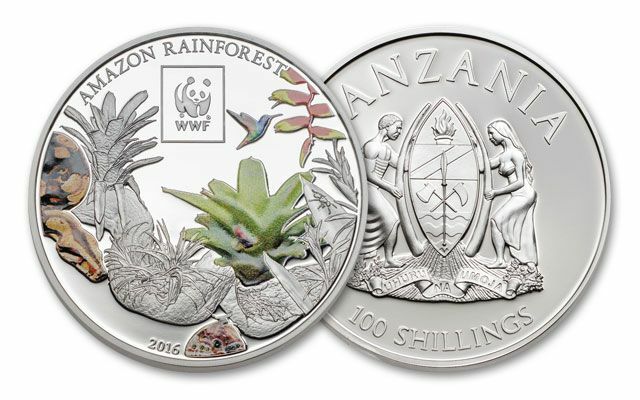 Each legal-tender 100 Shillings Rainforest coin is struck in 25 grams of silver plated copper. Each comes in a protective capsule with a mint certificate of authenticity. 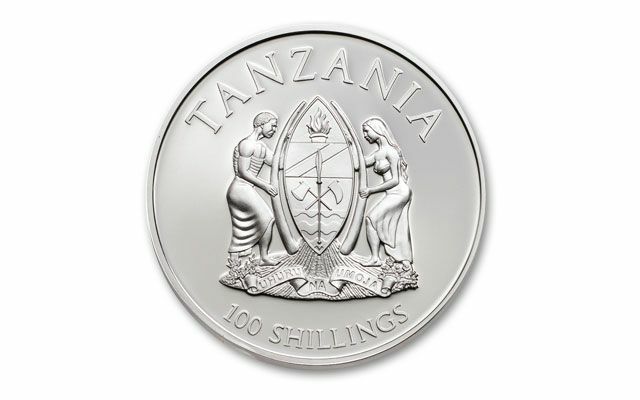 The mintage for each is limited to only 5,000. Order now. They'll vanish soon!